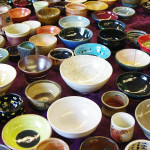 Yup, it’s almost time to begin planning for next year’s Empty Bowls, to be held on Thursday, February 7, 2019. Would you like to join in the fun?? If you would like to be part of the planning team, please come to the first planning meeting: Wednesday, October 3rd 7pm at MLK Park.